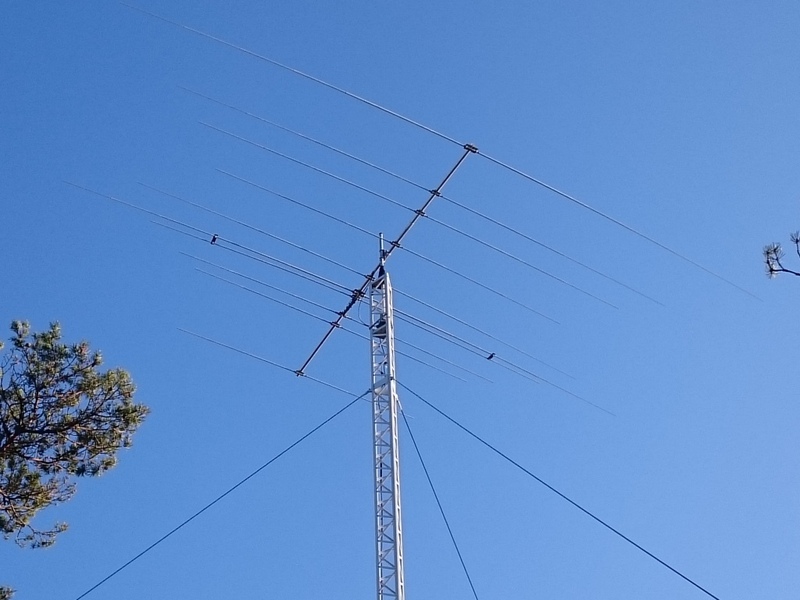 A F12 XR5 stack at 21 and 15 meter. The latter is rotated with Pro.Sis.Tel ring Rotor. A 11 element Force 12 10, 12, 15, 17 and 20 meters. The ring rotor used to rotate the antenna at 15 m (not shown on the above pic). Video showing the ring rotor in action. Here is a frequency graph over 10-30 MHx with the antenna up 12 m height. Vertical doted markers are placed at the band edges.